Senate President, Dr. Abubakar Bukola Saraki, has congratulated the President-elect of Ghana, Nana Akufo-Addo, on his victory in the recently concluded Ghanaian general elections. 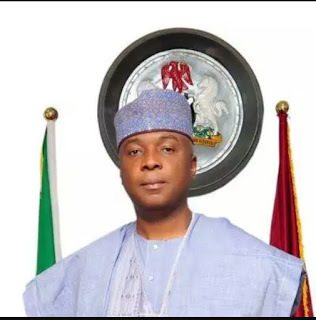 Saraki, in a statement by his Special Adviser on Media and Publicity, Yusuph Olaniyonu, also lauded both the outgoing President, and the people of Ghana for a successful electoral process. The Senate President stated that by conceding victory, President John Dramani Mahama, demonstrated that democracy in Africa has come of age. Saraki said: "From what we experienced last year during Nigeria’s general elections by having an incumbent President concede — and what we have seen today in Ghana, we can all attest to the fact that there is a trend of political maturity emanating from West Africa. “What we are celebrating today is a confirmation that Africa has truly matured in terms of democracy. “The people of Ghana and their leaders have confirmed that elections can be free, fair, credible and non-violent.